APT can be a single resource for your entire automation system. 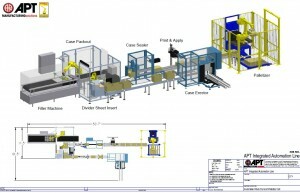 We can utilize many different types of factory automation including robotic product handling, pack out, and palletizing. 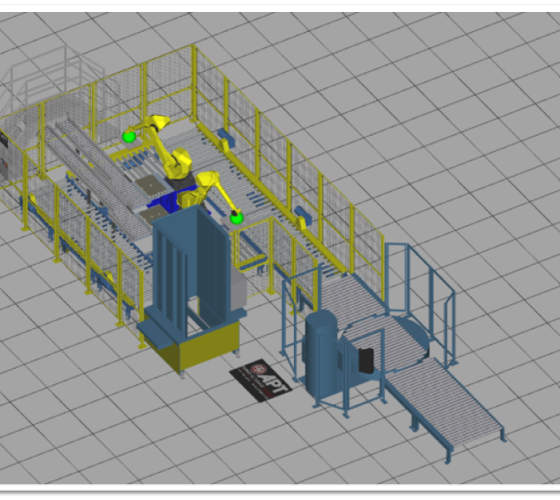 The integrated system allows the Robots and PLC to communicate in the same arena all being ran by one center HMI. This is a much advanced setup as compared to a standard stand alone robotic or hard tooled piece of equipment. The integrated cell is completely built and tested at our facility before moving, and installing in your plant.